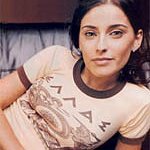 Nelly Furtado Wants Youth to Vote – Today! In a YouTube video titled Votes for Dummies, singer Nelly Furtado totes an “It’s your Canada. VOTE!” t-shirt while encouraging young adults to vote in Canada’s May 2nd federal elections. Although the campaigning has turned out to be more exciting than when it started a few short weeks ago, none of the parties are addressing the youth demographic, presumably because youth don’t tend to vote. Furtado admitted that she was herself a voting dummy, detached from politics which she found to be boring. She only started voting a few years ago (this is Canada’s fourth election in seven years) and is excited to be a part of the democratic process. First time voters should go to Elections Canada for information on the electoral process and to find out where to vote.